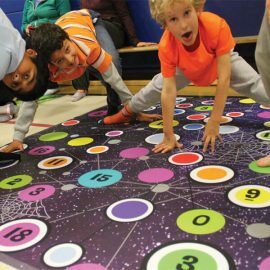 The whole family will have hours of fun twisting, stretching and reaching for math answers in this version of the popular game of twister. 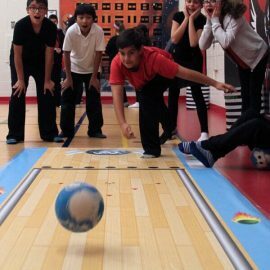 Bowling for Dollars takes on a new meaning and brings back memories of the popular 70`s game show. 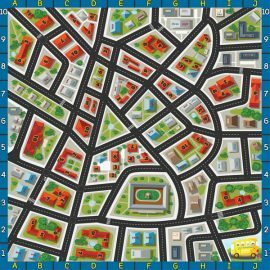 This one is for the whole family and it`s all about math and fun. It`s about time someone made learning time fun. Time is a challenging concept to teach! You will find our larger than life clock makes it not only fun but much easier for kids to learn the time. 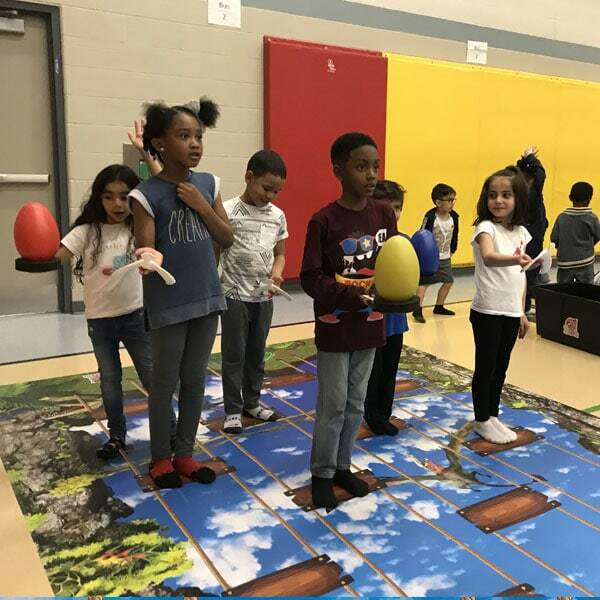 Kids get to walk on the clock, jump on the clock, and use their whole bodies to tell time. Numerous math skills can be taught while using this giant clock manipulative. 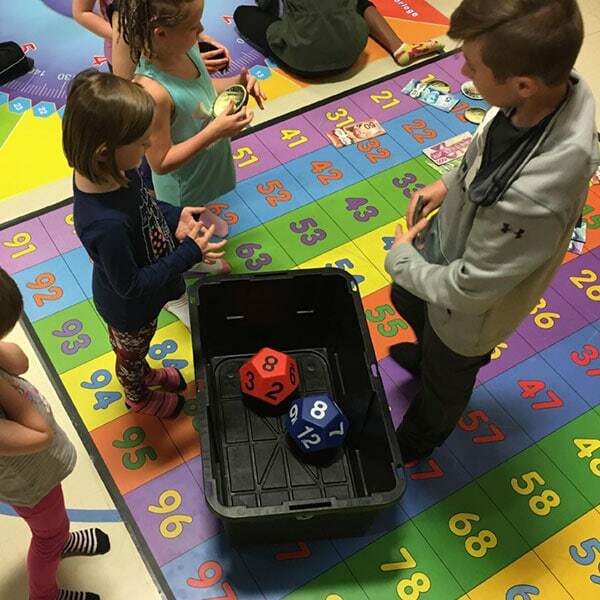 Skip Counting by 5’s, Number Recognition, Elapsed Time, Fractions, Angles, Basic Geometry, and more. What can you do with a hundred numbers? ..... hundreds of fun activities, that's what. 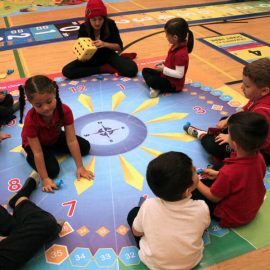 This Hundreds Grid mat is the perfect math tool to help kids use math strategies as they count to 100 by 1s, 2s, 5s, and 10s. They enjoy naming missing numbers and adding one more, one less, ten more, or ten less. This fish tank is full of some of the coolest fish on this planet. 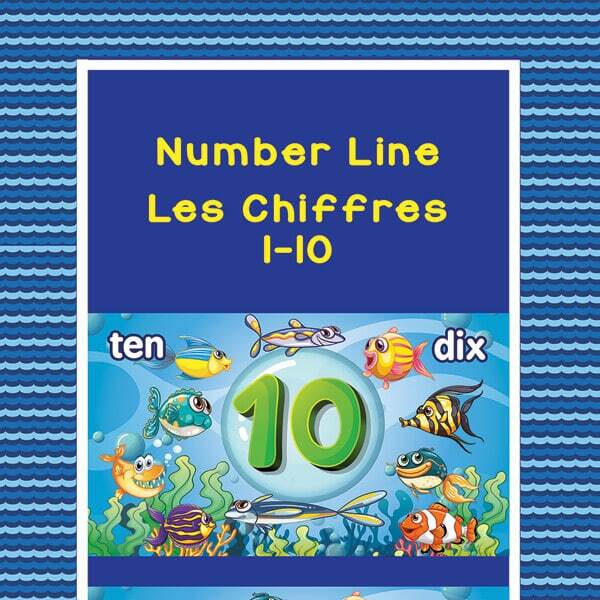 No mess and no feeding them as this colorful mat includes the numbers one through ten in numerals, letters and grouped fish for building fundamental number literacy skills. Who needs to travel at the speed of light when you can hop around our entire solar system in one afternoon of cosmic math fun. 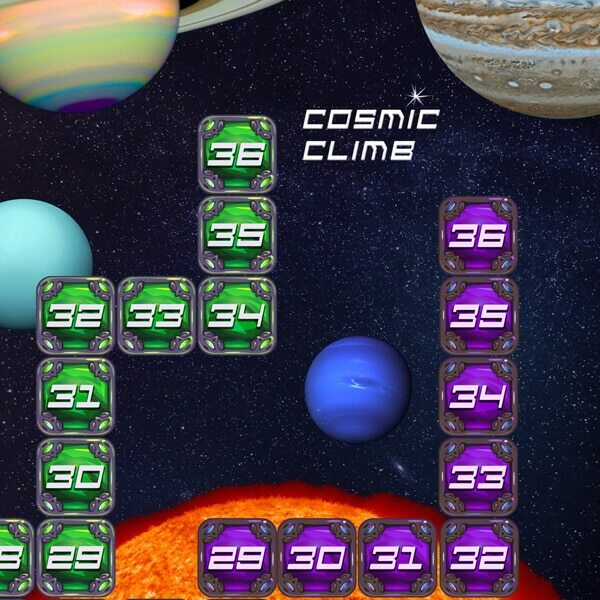 Cosmic Climb was created to make kids use their critical thinking skills and have FUN at the same time. This home version of our huge giant hit game " Cosmic Climb " allows kids to use their whole bodies to jump, hop, sit and climb up the board to capture their number or knock off their opponents number. 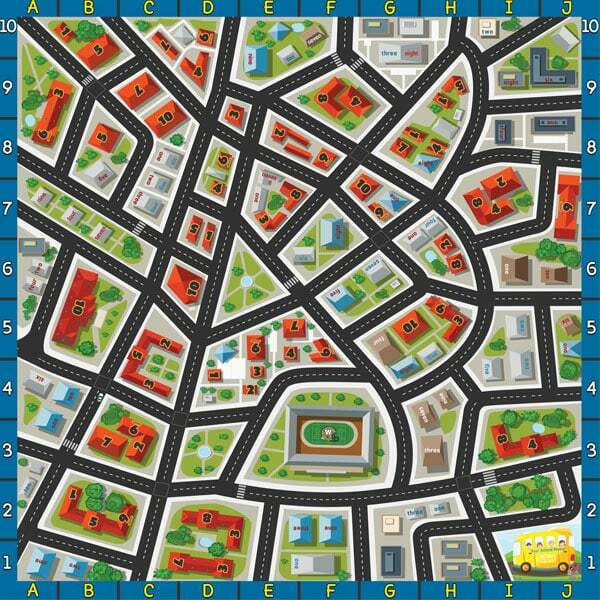 There are many games included in this ever popular mat. From Kindergarten to Grade 8 everyone learns math and astronomy too ! Just roll it out and play inside or outdoors and watch kids (and adults) play for endless hours. 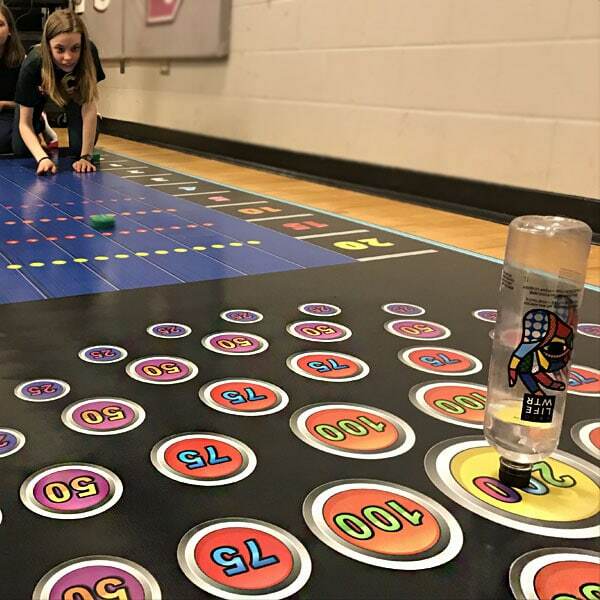 Any shiny flat objects can be used to slide up the mat to land on numbers. You can also use plastic hockey pucks, candy, coins, marbles, pebbles or bean bags. 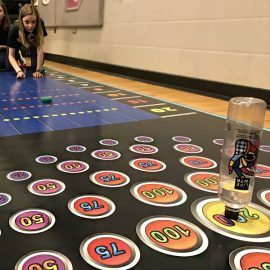 Your school will be the talk of the community as every family will want their turn at hosting amazing math parties for their kids and their friends. 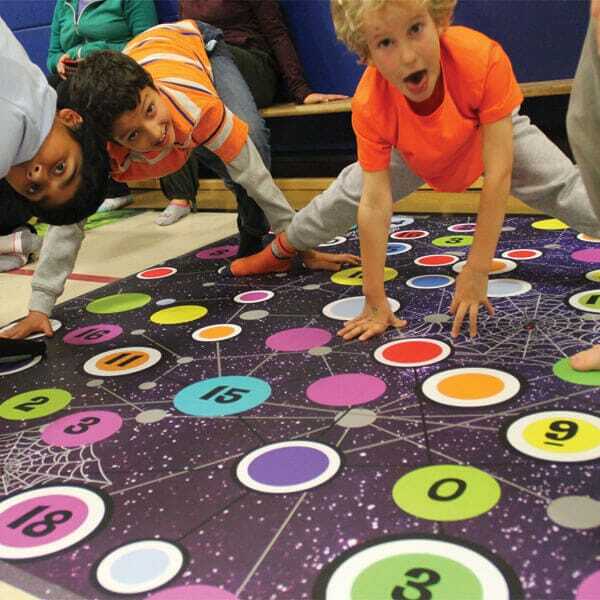 Imagine parents being able to take home a giant math mat to practice math concepts in an engaging, fun and memorable way. —just like books from a library – just way bigger! 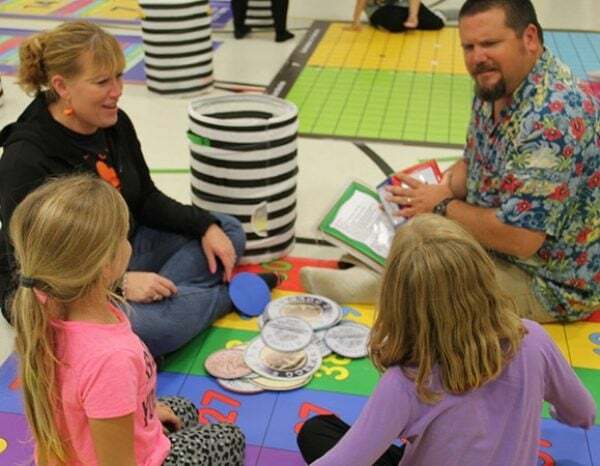 We can’t think of a better way to utilize your PRO Grant Funds besides having a live Jump2Math Parent Engagement Evening at your school.